Prairie Rose Training Center is proud to have produced the 2015 bay double registered RPSI/Half Arabian gelding, PR Senator Seagram! He was the RPSI Site Champion and Gold Premium Colt out of a large group of high quality Warmblood colts creating quite an interest at the inspection. 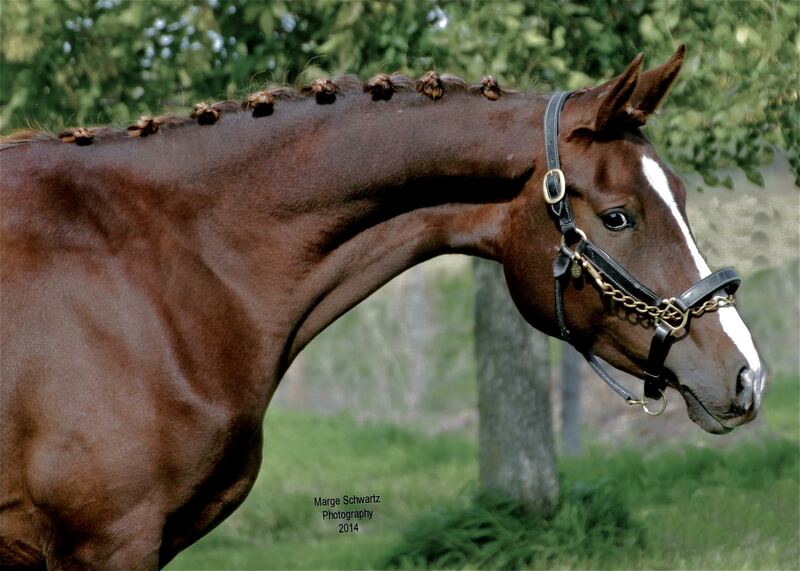 His sire, Sinatra Song, is by the famous Sandro Hit who’s offspring are taking the dressage world by storm. Seagram is likely the final and finest foal from our grand dame broodmare PR Brandywine. We have kept all her daughters and if we could only make this one a filly he would stay forever. His movement is scopey with an active hind leg that loads and flexes under his body while maintaining uphill balance. Temperament-wise he is bold and positively sparkles. He has straight legs, proper balance and size that looks to mature over 16 hands standing 15.2 hands at 21 months. Add to that his 4 perfect socks and strip. We invite you to take a look! Seagram’s sire, Sinatra Song, is a 16.3h elegant, black Hanoverian stallion sired by the famous Warmblood stallion, Sandro Hit. 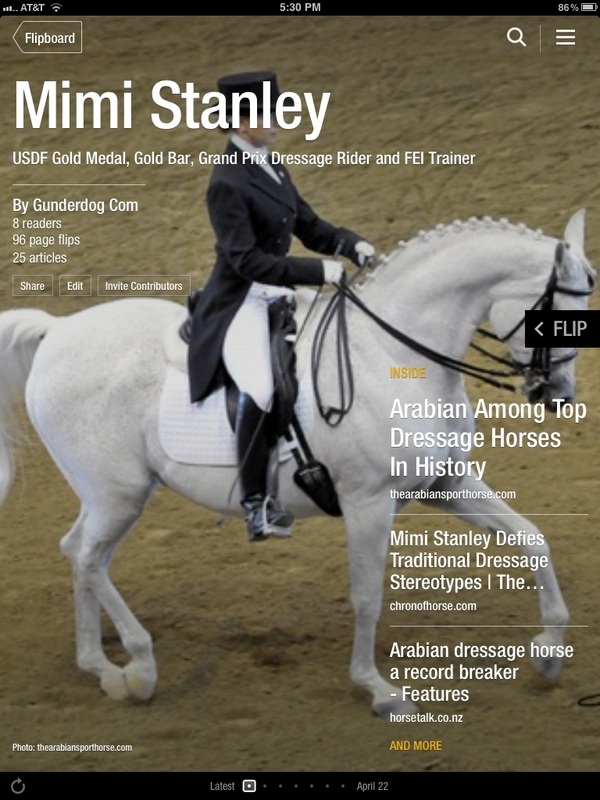 Many of his sons are Internationally competitive dressage horses. 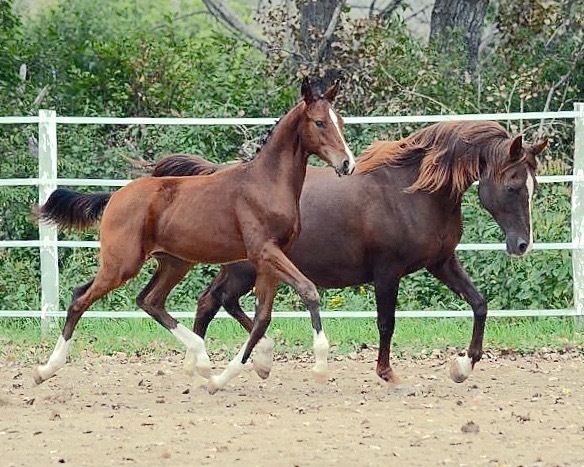 They are known for their athleticism, beauty & trainability. Sinatra Song was Champion/Premium at his kouring in 2005. He also finished in the Reserve position at the 2006 Bundeschampionate, and was the highest scoring 3 year old Hanoverian. Since the start of his breeding career at High Point Hanoverians he has been a hugely successful sire producing correct, elegant foals with 3 quality gaits and good temperaments. Photos and video of Sinatra Song and his offspring are at High Point Hanoverians. 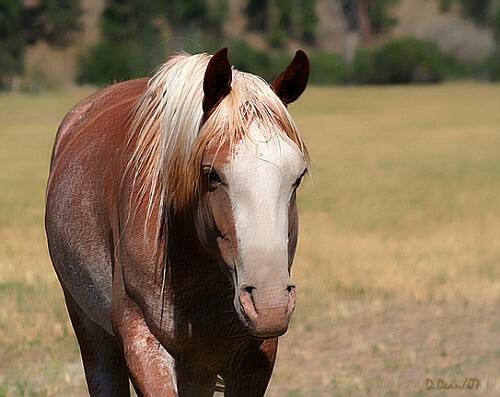 Seagram’s dam, PR Brandywine is a purebred Arabian mare approved RPSI Main Mare Book One. Her pedigree reflects generations of the best moving “sport type” Arabians including *Serafix, Riffal and *Comet. 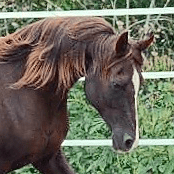 Brandywine is sired by the Arabian English pleasure and driving champion, Tar Comet. He dominated the competition in the upper Midwest for many years.